I just replaced the idprom (AKA NVRAM + battery; I used an ST M48T08-100PC1) in my Sun SPARCstation 20. 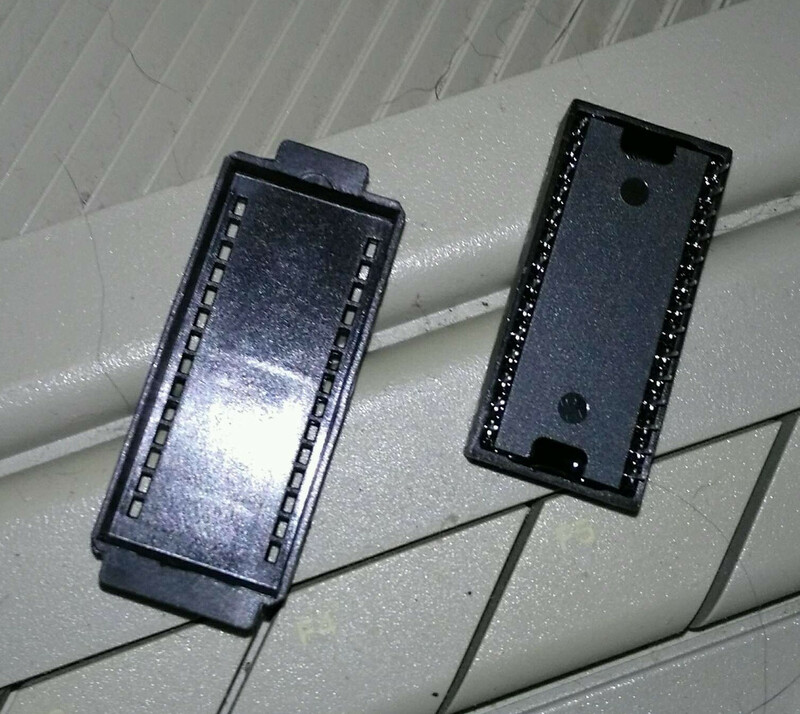 The original one was inside a rectangular holder with a tab on each short end; it had passthrough holes on the inside so the pins of the chip could connect to the motherboard. I was having trouble getting my system to boot (as far as I can tell, I just needed to wait for it to go through the lengthy POST, since the only output you get during that is keyboard LEDs and terminal output), so I tried inserting the new chip directly into the motherboard (without the enclosure), and I found that it worked. What is this thing called? And what is it used for? Pictured is the enclosure on the left and the chip on the right. Not sure what it is called, but as far as I know it is just a tool that helps in the removal of the chip by allowing you to pull up on the tabs. In my experience its just much easier to take a screwdriver to the chip socket, so I just removed it on my Sun Ultra 10. (Especially considering where it sits on the board.) Not easy to remove by hand with this installed. Also you could accidentally bend the pins removing it that way. Of course, this didn't matter when they were new because you were replacing the chips, but nowadays you will likely be modding the chip to take a CR2032 so that you don't have to find NOS expensive replacements.